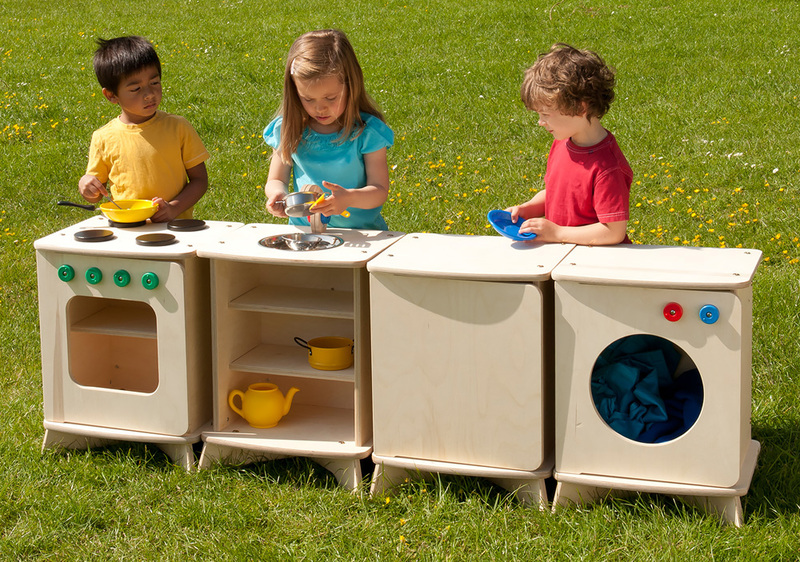 Our outdoor kitchen units are designed to be left outside - ideal for pretend outside play whatever the weather - with no maintenance required. 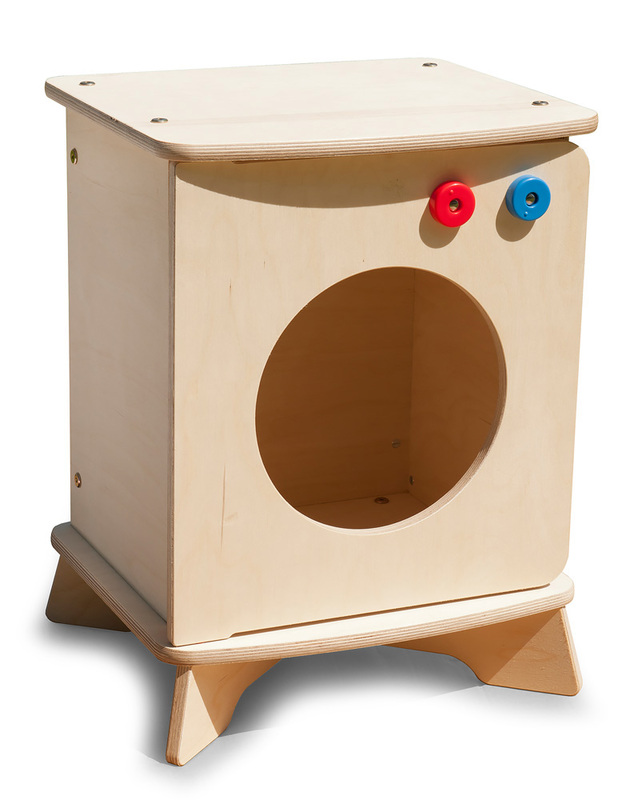 The outdoor washer unit features anti-finger trap doors and UV resistant plastic dials. Simple assembly is required using the supplied Allen key. Manufactured sustainably in the UK using advanced outdoor plywood with a weather resistant surface and a tough exterior seal on all edges. A 5 year guarantee is included that covers the outdoor washer unit against structural failure caused by rot or insect attack. Please note: any toy pots and pans featured in the product images are not included with the outdoor washer unit. Please Contact Us or alternatively call for more details on 01733 511121.